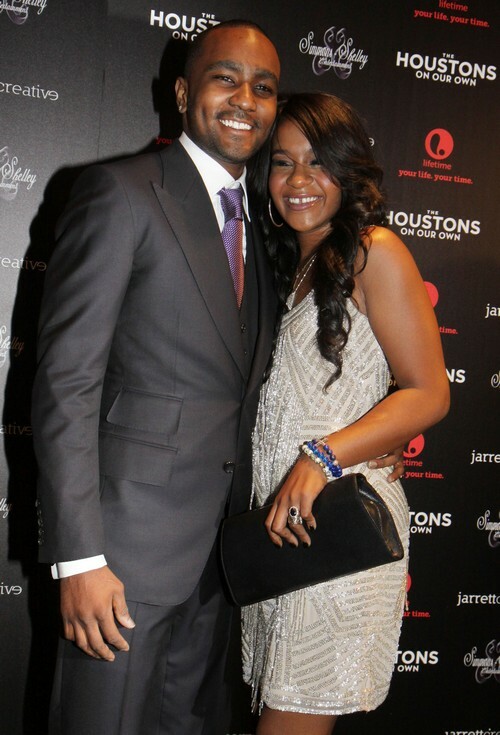 Bobbi Kristina Brown’s family has banned her husband Nick Gordon from his home – is it to protect their interest in Whitney Houston’s $20 Million? Nick Gordon has become the most famous persona non grata in Bobbi Kristina Brown’s life, all thanks to Bobbi’s family and their newly protective attitudes towards her. Despite the fact that they have been conspicuously absent from most of her life – especially since Whitney Houston’s death – most of them have come out of the woodwork after Bobbi’s hospitalization. And according to reports, they have banned Nick Gordon both from visiting his ‘wife’ Bobbi in the hospital and from visiting the Atlanta townhouse that he shared with her. There was reportedly a scuffle at the hospital when Nick tried to visit Bobbi there, but I think he’s learned his lesson about sneaking in. Alas, the family does have their reasons for keeping Nick away from Bobbi, some selfish and some selfless. Obviously, Bobbi’s drowning is still being treated as a criminal matter, and Nick Gordon is the numero uno suspect. He and Bobbi allegedly got into a violent physical altercation just one hour before the drowning, and if the rumors are correct, then Nick was also enabling Bobbi’s drug addiction at the time. One way or another, he seems to have been directly involved with Bobbi’s current status, especially since he reportedly cleaned up the blood and any evidence from the fight before anybody could see. Not the behavior of an innocent man, no? Of course, they’re also forgetting that regardless of whether Nick’s marriage to Bobbi was technically legal and official, he was still the one person who was with her almost every day for the last three years. That means that if Bobbi dies [which still looks very likely, despite the family’s claims], the $20 million inheritance from Whitney Houston is still most likely to end up with Nick – not the extended family. By rights, Nick has very strong legal claims to the money, and of course the family is going to do everything in their power to prevent that from happening. What do you guys think about Nick Gordon being banned from the townhouse he shared with Bobbi? Do you think he has a strong claim to the inheritance? Let us know your thoughts in the comments below. Bobbi Kristina Brown To Die On Whitney Houston’s Death Anniversary – Family Stopping Life Support – Fighting Over Inheritance?